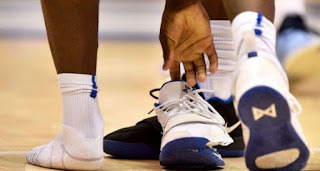 Shoes become an important part when undergoing an NBA match. In addition to performance requirements, shoes can also be a weapon to boost performance. However, what would happen if the shoes used were torn and even damaged when in the field ? This incident occurred in the second round of the Orlando Magic's fierce match against the Philadelphia 76ers on February 23, 2016. Forwarda Magic, Aaron Gordon, competed in a burning spirit for victory. Unfortunately, Gordon's shoes could not accommodate the game, so they finally "burned". His Nike Hyperdunk 2016 was destroyed and could not be used anymore. Additional straps at the top of the shoe are torn while the bottom soles are open almost 50 percent. As a result, the blue insoles poked out. He also had to be pulled out to change shoes before finally returning to compete. Using "old" and historic shoes can be a separate way to get the spotlight on the field. That is what Isaiah Thomas did on February 26, 2018. When he was working on the field, he suddenly ran to the side and asked for a break. He was not injured at that time. He did it because the bottom soles of his shoes detached almost all parts. Apparently, this is because he uses "old" shoes too hard. In the match against the Sacramento Kings, Thomas used Nike Zoom Kobe 4 which was released in 2009. The moment of the release of this shoe was almost the same as the first release of the iPhone 3. Because of that incident, he was forced to give up his favorite shoes damaged and could not be used anymore. Shortly, he returned to the field using the Nike Zoom Kobe Mid AD "Lakers" which was released in December 2017 to complete the remaining two quarters. 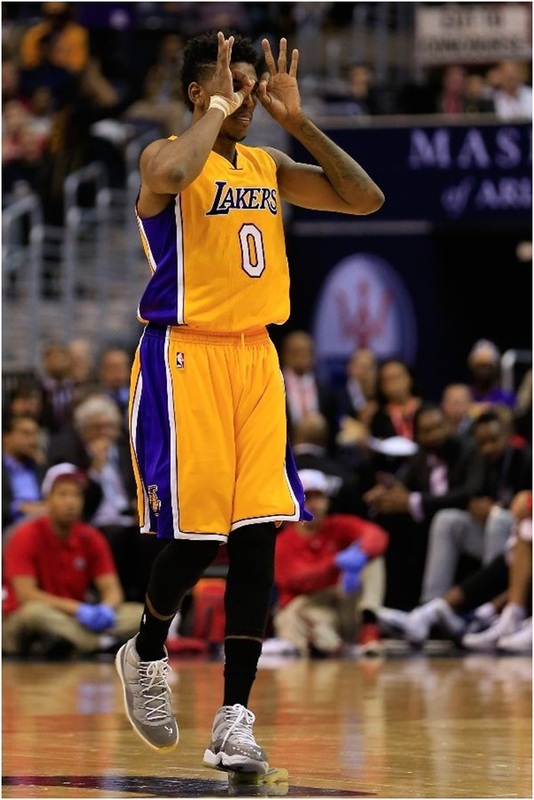 The player nicknamed Swaggy P is famous for collecting rare old basketball shoes. Not infrequently, the shoes he used competed. Unfortunately, that behavior can be a boomerang if it impacts on its performance in the field. Retreat to 2014 when the Lakers faced the Wizard. Young seemed to be using Air Jordan XI "Cool Gray" in 2001. Unfortunately, the bottom soles of his shoes were peeling in the middle of the third round. 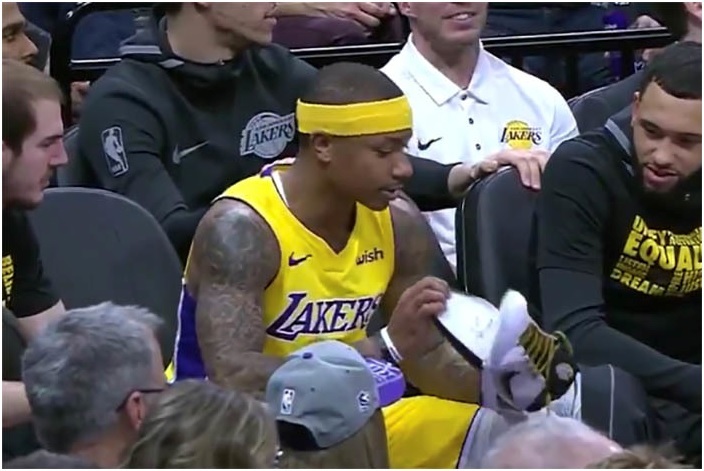 The 13-year-old shoe did not support Young's performance in the field. However, this did not stop him from competing using unusual shoes used to play basketball such as Adidas Yeezy 500 and 750. The player who is currently playing in the Rio Grande Valley Vipers has had experience with yellowed basketball shoe glue. 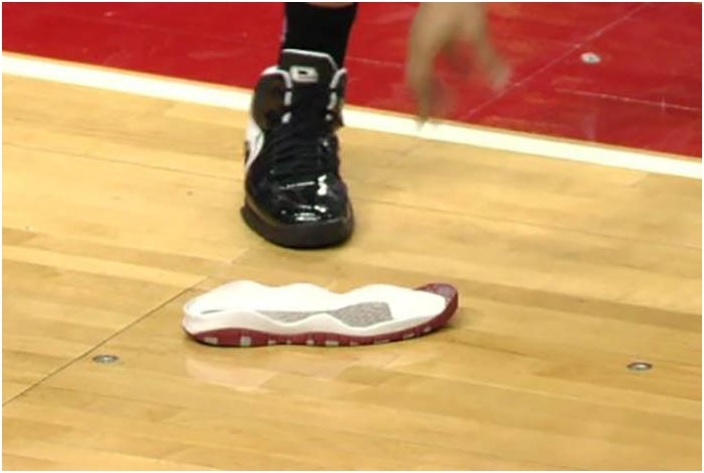 At that time, he used Air Jordan X 2005 during the match against the Indiana Pacers on March 4, 2014. 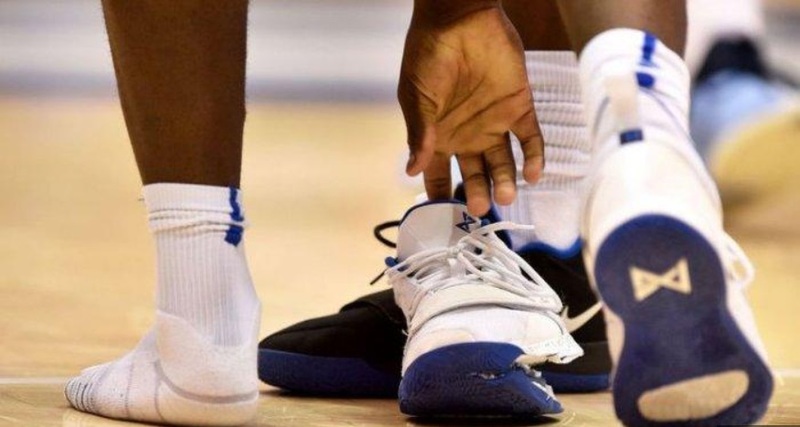 The incident occurred in the fourth quarter when the bottom soles of his right shoes came off. He then threw the soles to the side of the field and then secured by the referee. For the unpleasant incident, Michael Jordan reportedly called Wroten's personal agent to apologize. This is the third event that Nike's shoes were damaged in the NBA match in two weeks during March 2014. As a result, the quality of Nike basketball shoes was considered bad and had become a public spotlight at the time. 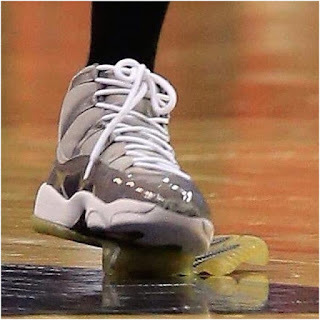 The tear of Ginobili shoes occurred when he defended Spurs against the Detroit Pistons on February 26, 2014. His shoes "exploded" while competing. The lower soles are released while the upper part hangs at the ankle level. At that time, he used Nike Air Max Closer 4 which he continued to use since 2009. This shoe has reached the deadline for performance because it is too long to use. And there was the latest incident at the time of the NBA battle by Zion Williamson from the duke blue davis team. 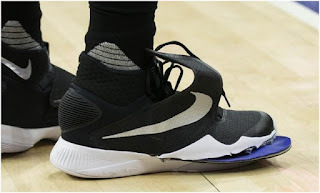 The player experienced a problem with the NIKE shoes he used in the match which was held on February 22, 2019 while visiting the North Carolina team. 0 Response to "Nike Shoe Blowout Basketball From Athletes Bellow"